Lifestyle blogs have to be some of my favourite's to sit back with a warm beverage and just endlessly flick through. I wanted to start up a more personal feature on this blog, and so Five Things Friday is born. Every Friday (don't hold me to this!) I will post Five Things that have made me smile, laugh, happy, sad, just all the feels. Rain tapping away at my window whilst I drift off to sleep. Okay, this sounds SO tumblr-esque but it's true. There is nothing better than cosying up, with my Balsam candle burning, listening to the rain hammer down whilst I'm all tucked up and warm. Supportive friends - I've had some pretty bad news this week (hence the lack of posts, apologies! ), which I'm not going to go into, but having good friends there to pick you up when you're feeling down is not to be taken for granted. MAC Plumful (well there had to be something beauty related in this post!) has made a comeback in my lipstick wardrobe and has been fondly applied every morning this week. Very autumnal and stunning on every skin tone. Gogglebox - now, if you're a stranger to this show I suggest finding it online STAT. Never have I laughed and cried so much at a reality based show. It's one of those shows that I actually watch without fail every week the time it's actually on tv, instead of online later. It has me stitches, especially the gay housemates and the posh couple who are always drunk. I don't think I'm selling it as much as I should be, so just believe me when I say you will LOVE this programme. What has made you smile this week? Gogglebox is hilarious! Before I watched it the premise of watching people watch TV sounded bizarre but its definitely become essential weekly viewing! I LOVE this idea of Five..Fridays! I have a 'Weekly Roundup' feature of a similar type of thing! It's raining right now in London and I love it too! Yes, your description of rainy nights is making me feel fuzzy inside! hehe! The fox song has made me smile this week! Hope you have a great week and the bad news that has hit you gets better! I really have to try that Starbucks hot chocolate. Sounds like heaven! 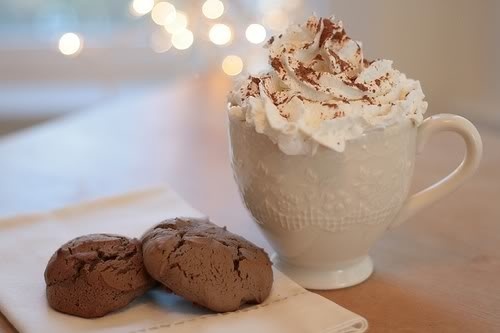 I love the gingerbread lattes but have never tried the gingerbread hot chocolate! I have been loving lighting candles this week! i love rainy nights too! I haven't tried the Gingerbread from Starbucks but I do love the Salted Caramel!!! Winter/Christmas is well and truly here when the red cups and lovely drinks are about! !